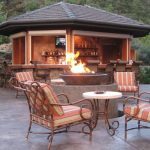 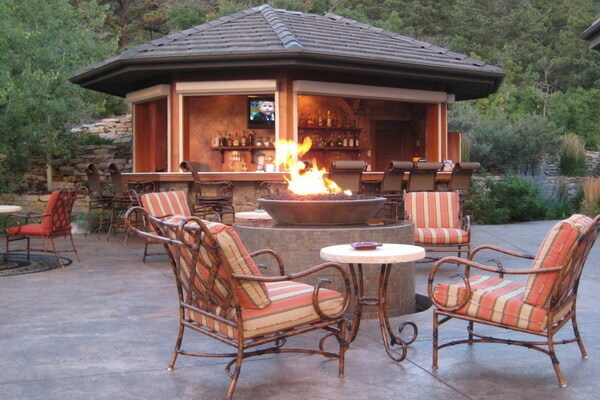 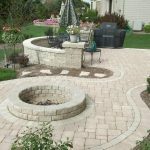 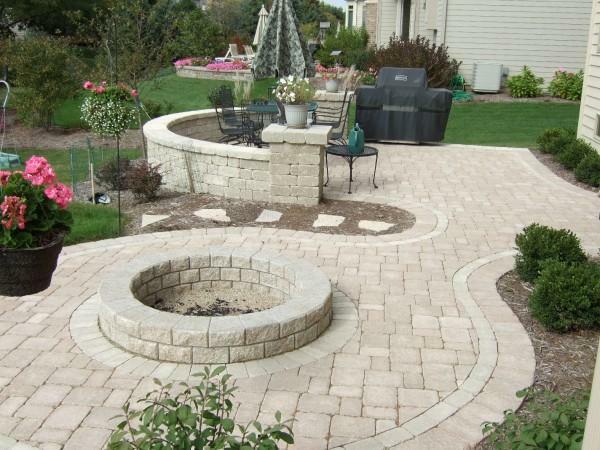 Now, let me start with the first patio with fire pit concept which has very wonderful decoration. 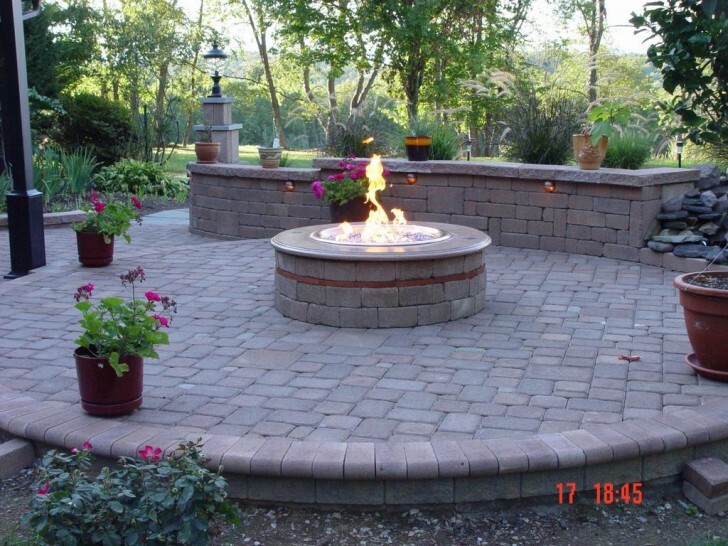 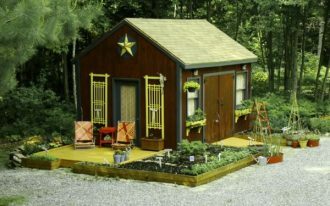 You can see in the picture that there a nice patio design with a fire pit made of brick and has very adorable flowers plants. 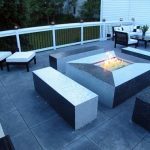 This patio fire pit is build at the middle of the floor, white around it there are some amazing plants with green nuance. 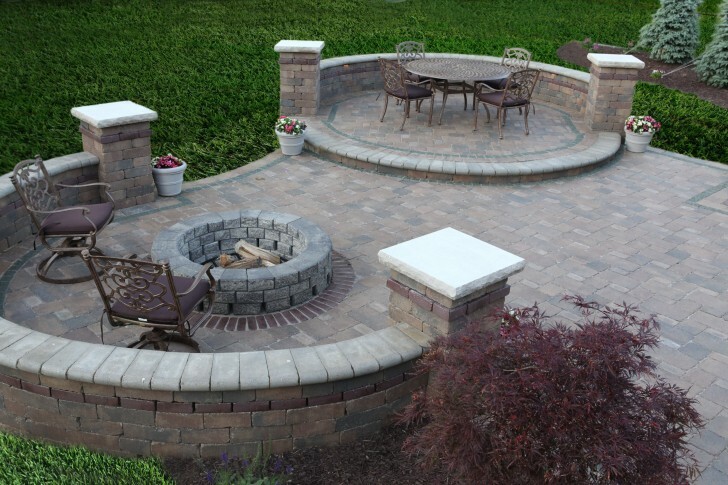 What others stuffs can you put in the patio instead of fire pit? 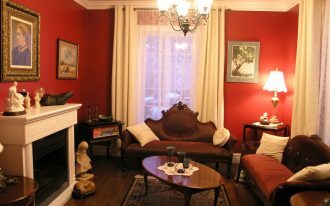 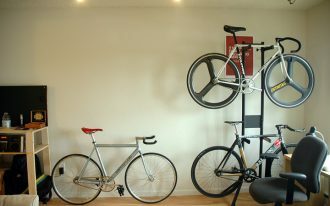 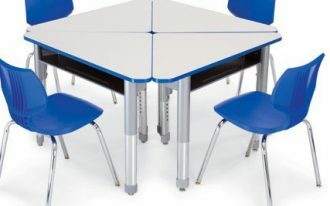 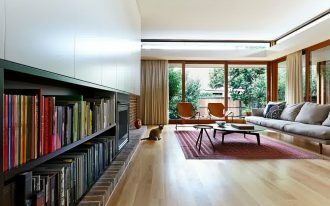 Well, in this case you might be better to put table set with some chairs anyway. 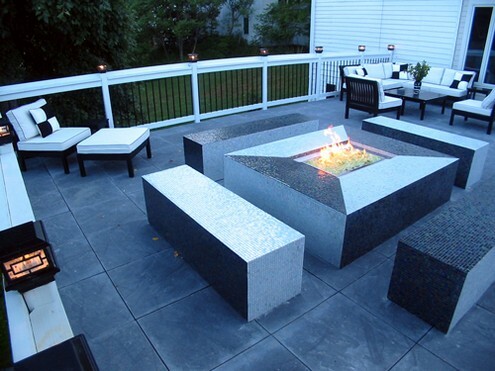 Since the patio is large, so you can choose the best spot to sit. 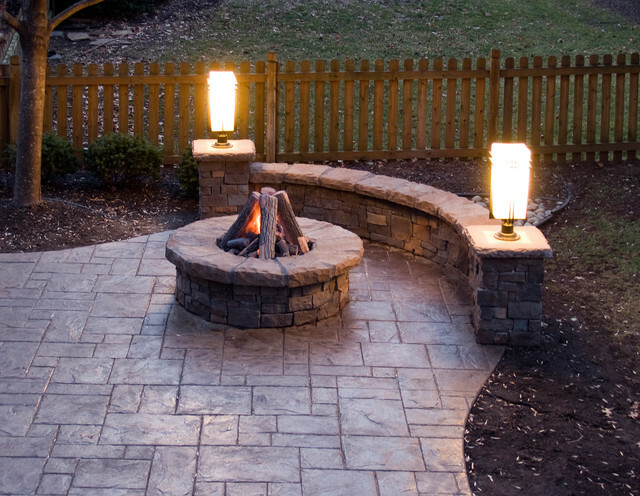 You may also fire up the fire pit with small fire. 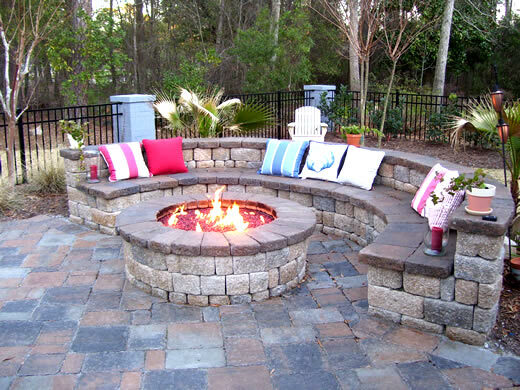 When the winter comes, it is very good to invite your friends enjoying the day at the back of your house sitting around the ignited fire pit. 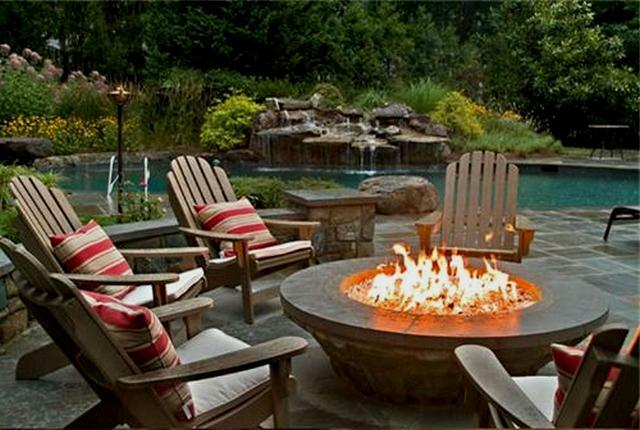 Moreover, you have such a fresh cool patio near a big home water feature with wonderful flower decoration. 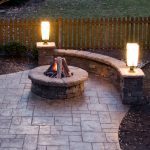 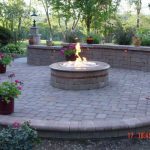 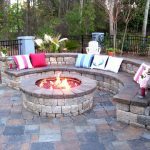 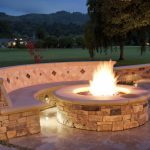 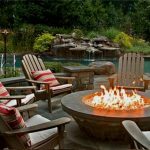 As we know that most of the fire pit patios design have round design, but if you want to have other design such as square one, it will be better. 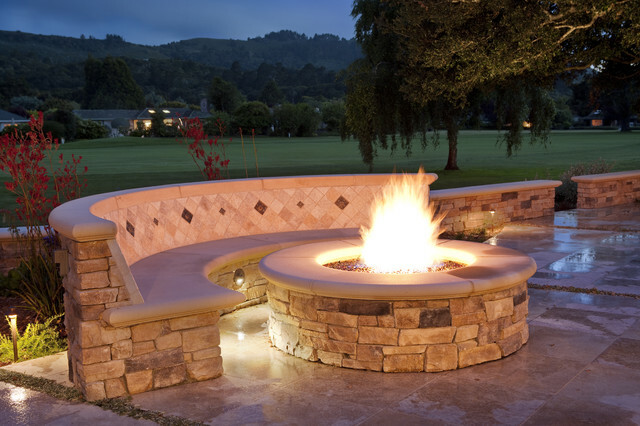 The square fire pit is more modern rather than the round one. 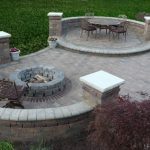 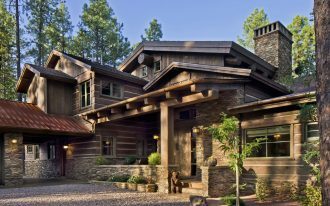 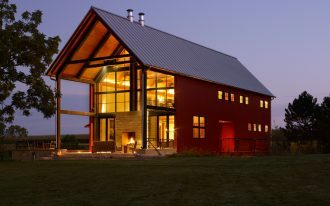 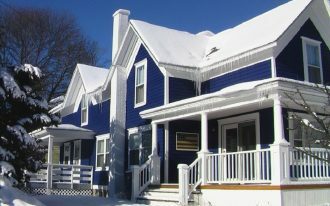 This can also be perfect to be applied at your patio design.